Most people have some idea that different foods can cause inflammation — and make pain worse. But they still don’t know exactly what they should be eating to eliminate their pain. I want to make it easier, so I’ve put together my favorite anti-inflammatory diet recipes in a 7-day meal plan that you can download. I’ll also share some valuable info with you today in this post that will help you start eating an anti-inflammatory diet. But first I want to make sure you understand the basics, so you know why choosing foods that fight inflammation — and avoiding foods that cause inflammation — is so important. If you’re ready to start the meal plan now, you can download it for free right here. If you live with chronic pain — whether it’s back pain, arthritis pain, sciatica or any other type of pain — you’re living in a state of chronic inflammation. So it makes sense that if you want to eliminate pain, you have to reduce inflammation. And if we had to narrow the source of your inflammation to one thing, it would likely be the foods you eat on a regular basis. They’re found in your refrigerator. Changing your diet is easier said than done, I know. And the biggest hurdle for most people — even those who WANT to start an anti-inflammatory diet — is knowing which foods have anti-inflammatory properties and which foods actually cause inflammation. To make things even more complicated, not everyone has the same “trigger foods” — foods that cause their pain to flare up. So what’s fine for me to eat might land you on your back… and vice versa. That’s why I tell people to keep a food journal, so they can identify their specific trigger foods and eliminate them from their diet. In a nutshell, a lot of people simply don’t know where to start. Others may have found a list of the top anti-inflammatory foods, but don’t know how to put them together to make balanced meals to feed their families. 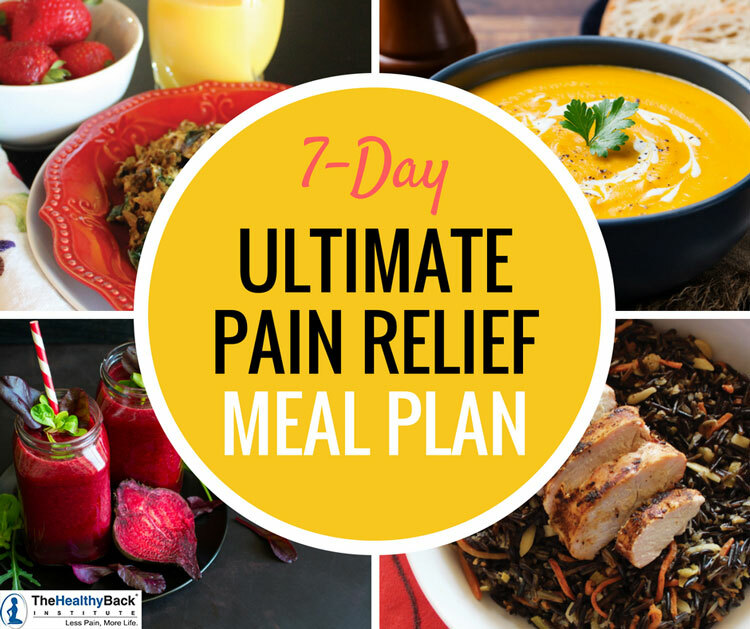 That’s why I put together the 7-day Meal Plan for Ultimate Pain Relief to make it easier to get started. I promise, you’re not sacrificing taste here. These tried-and-true anti-inflammatory diet recipes are among my personal favorites. Ready to start? download the meal plan for free right here. 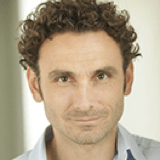 What is inflammation and why is it a problem? To put it really simply, inflammation is a form of swelling in your body. It’s your body’s normal response to a specific problem or injury. Once the problem has been solved, the inflammation dies down. But in today’s world, your inflammation response is active 24/7. It never shuts off. And that’s due, in large part, to the diets that most of us eat. Our primitive ancestors lived and thrived on foods they caught themselves or that grew on trees or from the Earth. They ate foods in their natural state, and ss a result, they weren’t plagued with chronic diseases or crippled with chronic pain. They certainly weren’t eating a carb-loaded Western diet full of sugar, processed foods and refined grains. Our bodies can’t process them properly. They cause our insulin levels to spike. And they cause an overload of chronic inflammation. Our bodies were not designed to process grains, and we pay the price for it. Studies show that refined grains lead to higher levels of inflammatory markers in the blood. Some other foods to avoid are dairy, omega-6 fatty acids, sugar and processed foods. Dairy can be a problem because most cows that produce dairy are sickly and have been fed refined grains. And just like us, they don’t thrive on that type of diet. You’ll find omega-6 fatty acids in vegetable oils like corn oil, safflower oil and sunflower oil. It’s not that these fats are bad on their own, but we get way too much of them and not enough omega-3 fatty acids. Our hunter-gatherer ancestors got a ratio of about 1:1. Today, our ratio of omega-6 to omega-3 is as high as 20:1! 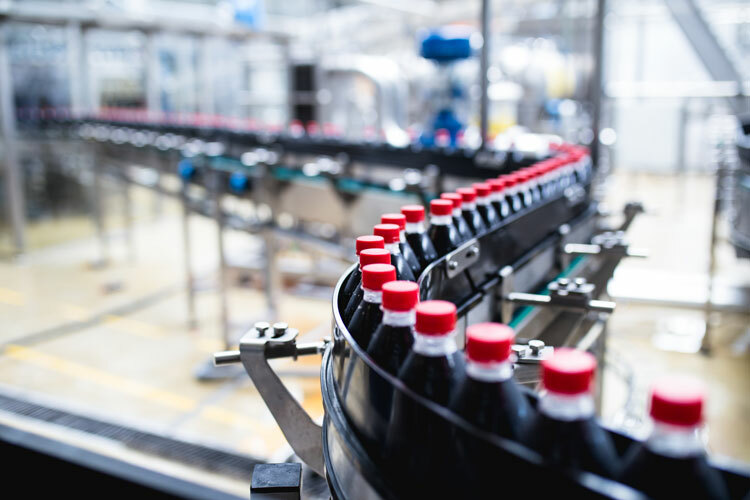 As for sugar, it’s everywhere — from sodas and juices to condiments like ketchup and barbecue sauce. Added sugars are in dried fruits, yogurt and frozen dinners. When you get too much sugar in your diet, your body sends out extra “immunity messengers” called cytokines. When you make too many cytokines, it leads to chronic inflammation. Processed foods are loaded with artificial colors and flavors. They also contain chemicals like MSG and BHT. You won’t find any of these things in nature… so it’s unnatural for us to eat them. Your body doesn’t recognize these things as food. It sees them as invaders that need to be fought off. And so your body launches into an inflammatory attack. On a side note, these are the foods that are the biggest culprits behind weight gain too. So by cutting them from your diet, you won’t just reduce inflammation, you may also drop a few pounds. Ready to start the meal plan? Download your free copy right here. 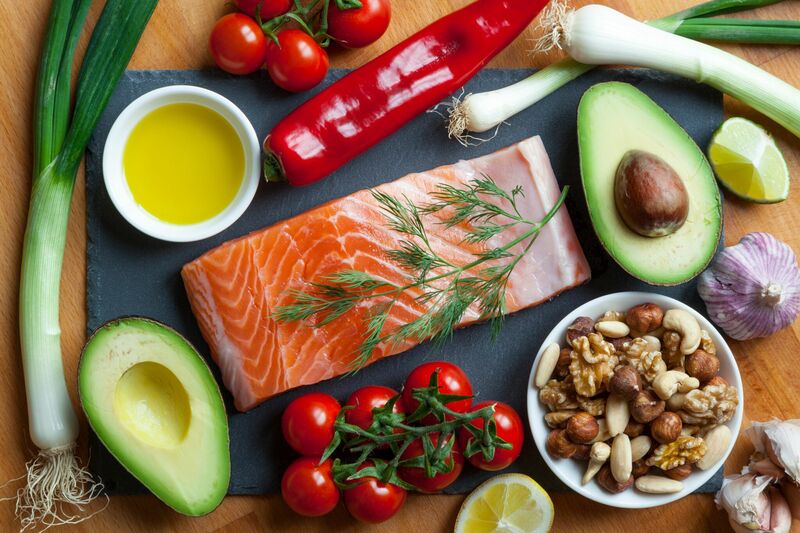 A healthy eating strategy that incorporates anti-inflammatory foods is your first step toward reducing inflammation and living a pain-free life. And the bonus is that incorporating anti-inflammatory foods into your diet has health benefits that go beyond simply reducing inflammation. Many have been shown to play a role in preventing a number of chronic diseases, including cancer, diabetes and heart disease. Instead of vegetable oils, choose coconut oil or olive oil. 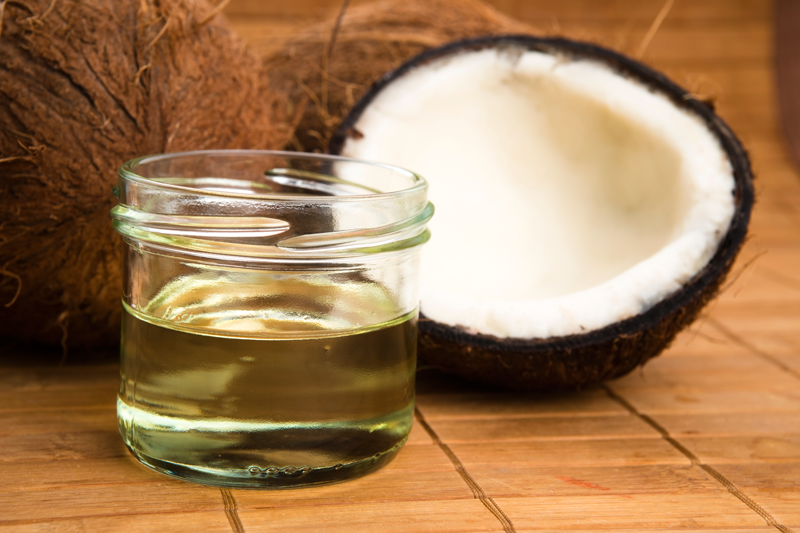 Coconut oil comes from the fleshy fruit of the coconut and is packed with health benefits. Its anti-inflammatory properties are so incredible, it’s even been shown to stop the damage of arthritis and reduce arthritis symptoms. Saute vegetables with coconut oil in a nonstick skillet or even add a spoonful to your coffee for a morning treat. 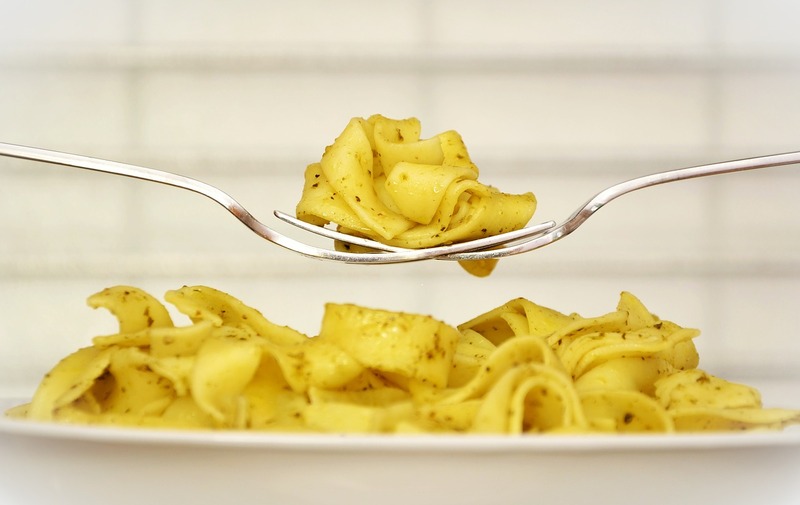 Like coconut oil, olive oil is a good source of healthy fats. Among them is a fatty acid called oleic acid, which has not only been shown to reduce inflammation, but some studies show that it may even have a positive effect on genes that are linked to cancer. I like to drizzle olive oil on vegetables like sliced bell peppers, Brussels sprouts and broccoli, sprinkling them with a little sea salt and black pepper roasting them in the oven until they start to brown just a little. Instead of snacking on junk food throughout the day, load up on fruits and vegetables that reduce inflammation. A few to focus on include leafy green vegetables such as kale and fruits like papaya, figs, kiwi and pineapple. Try tossing those fruits with some pomegranate, apples and pears for a fun twist on a delicious and nutritious winter fruit salad. Nuts and seeds also make a great snack. I like walnuts, almonds and pumpkin seeds, just to name a few. For proteins, choose grass-fed beef or a healthy fish like salmon. Both are rich in inflammation-fighting omega-3 fatty acids. You can throw either on the grill. I like my steak with just a little sea salt and black pepper. For the salmon, a little fresh dill weed and some lemon juice. Easy and delicious. Another tip for reducing inflammation is to cook with anti-inflammatory spices. Some of my favorites are turmeric and ginger. Both of these anti-inflammatory spices have been used for thousands of years in India. And both are very versatile. The more often you eat foods that fight inflammation, the better you will feel! And don’t forget to keep your food journal to help you identify your personal trigger foods. 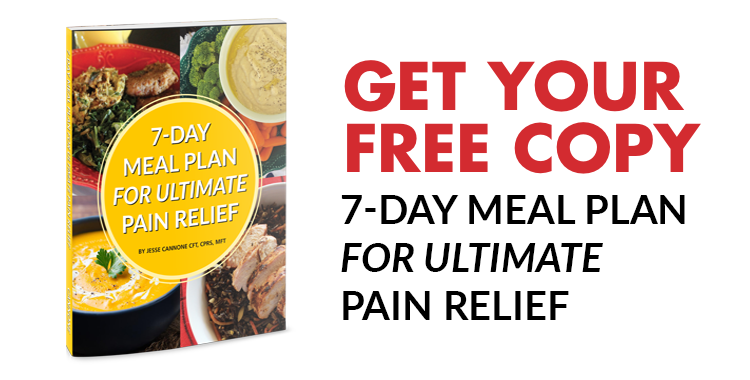 The tips I gave you above will be helpful, but for a more comprehensive guide to putting together anti-inflammatory diet recipes, download my 7-Day Meal Plan for Ultimate Pain Relief. My meal plan gives you everything you need to start eating an anti-inflammatory diet TODAY. And it’s totally FREE. As I mentioned above, you’ll get 28 anti-inflammatory diet recipes (that’s seven full days of breakfasts, lunches, dinners and snacks) and a grocery list to make shopping easier. And if you’re concerned that anti-inflammatory foods are boring, don’t be. This meal plan is chock full of delicious anti-inflammatory diet recipes you’ll WANT to eat. Download your free copy of the meal plan by clicking the banner below or right here. I hope this brings some pain relief for me when I get up in the morning. I finally found this email today. It was under the wrong label! Now I can get to cracking on what I need to be eating, make that grocery list and see how quickly I can get my pain either bearable or gone! This already feels like a relief by knowing there’s a light at the end of this horrible spot I’ve been living in for over 25 years! I’m ready now. Another comment will follow soon!